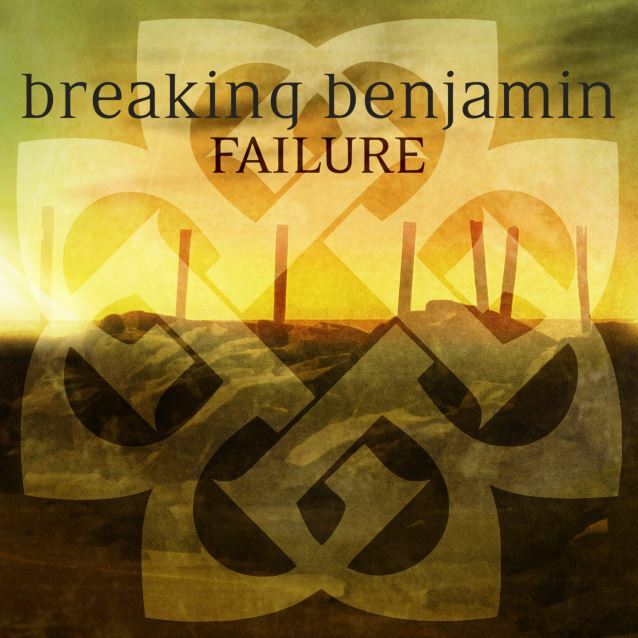 According to The Pulse Of Radio, BREAKING BENJAMIN's "Failure" has just notched its third straight week at No. 1 on Active Rock radio, giving the band the third No. 1 single of its career after 2007's "Breath" and 2009's "I Will Not Bow". As he has done in the past, BREAKING BENJAMIN frontman and chief songwriter Ben Burnley told The Pulse Of Radio that he's reluctant to disclose what the song is about. "I'm known for not really saying what songs are about, and it really isn't a cop-out," he said. "It's hard to describe how awesome it is when a fan comes to you and they tell you what your song is about. That's awesome and I love hearing it. So that's why I don't want to say what it's really about or what I thought of. I'm obviously influenced by the things going in my life, but that doesn't mean that I need to put that on the listener and make them experience what I experienced when I listen to it." 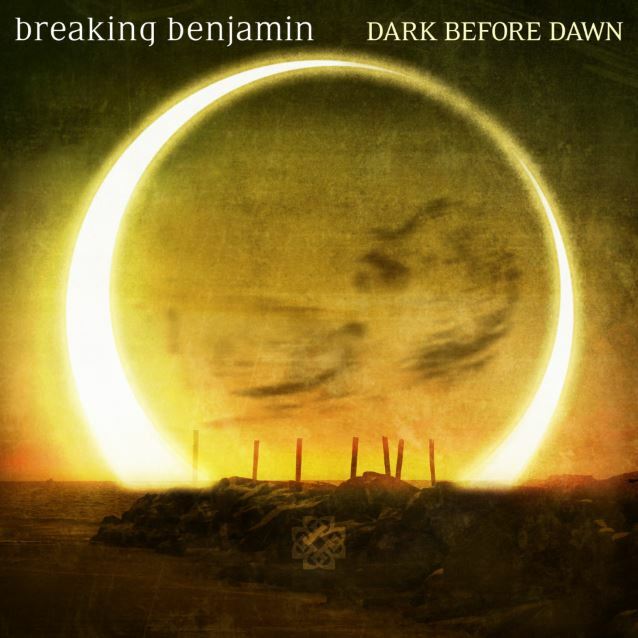 BREAKING BENJAMIN's new album, "Dark Before Dawn", out June 23, is the first original music from the platinum-selling band since the release of "Dear Agony" in 2009, and marks a new era for the acclaimed band. Fans who pre-order "Dark Before Dawn" receive "Failure" instantly along with two instant grat downloads for "Angels Fall" and "Defeated". 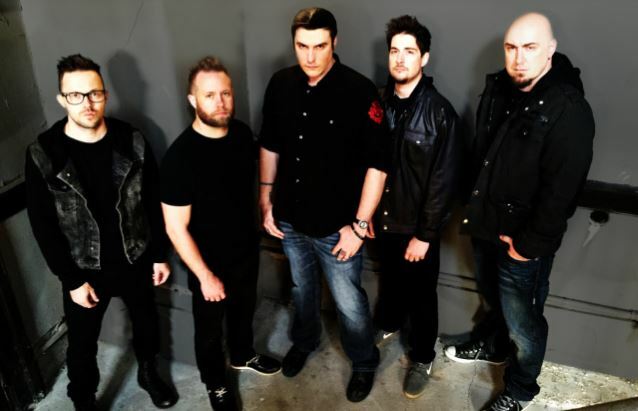 The new single and album follow a long period of inactivity for BREAKING BENJAMIN during which Burnley battled health issues and was engaged in legal action against two former members. Burnley unveiled BREAKING BENJAMIN 2.0 last year, with the lineup consisting of drummer Shaun Foist, bassist Aaron Bruch, former RED guitarist Jasen Rauch and ex-ADELITAS WAY guitarist Keith Wallen. BREAKING BENJAMIN's 2004 album, "We Are Not Alone", spawned a pair of No. 1 radio hits ("So Cold" and "Sooner Or Later") and sold 2.3 million units (albums and digital tracks). 2006's "Phobia" debuted at No. 2 on The Billboard 200, hit No. 1 on the Rock Albums chart and was one of the top 50-selling rock albums of 2006. It featured one No. 1 and two Top 5 rock radio hits ("Breath", "Diary Of Jane" and "Until The End") and sold 2.8 million units (albums and digital tracks). 2009's "Dear Agony" debuted No. 4 on the Billboard Top 200 chart on one of the busiest release days of the year and No. 1 on the iTunes Rock Albums chart. "Dear Agony" also spun off the platinum-selling and No. 1 song Active Rock single "I Will Not Bow" which stayed No. 1 for five weeks straight while the album itself was certified gold, selling over 500,000 copies.